Getting a tattoo is like making a memory come to life. Most people get tattoos to commemorate their loved ones, while some get it to remind them of something that is ultimately important to them. Some might also be inked just for the sake of getting tattooed or just because they love a specific design and they want it tattooed on their skin. Whatever your reason is, you have to make sure that you will properly prepare for the procedure. Besides, you will have a needle go right through your skin, which can be a little bit nerve-wracking. Here, Robert Meyers Tattoos discusses a couple of things that you should do and be aware of before getting inked. The first thing you should do is research on the design you are getting. This tattoo will forever be inked on your skin, which is why you would have to be sure about what you are getting. Sure, you can have it lasered or removed later on, but who would want to go through all that hassle? Look up different images online and see which ones strike your fancy. You can get inspiration from other images, but if you want to make it unique, then ask a designer friend or your tattoo artist to redesign the tattoo and incorporate your personality into it. Getting text tattoos in a different language can be scary, so make sure to check with someone that is fluent in the language before deciding on having it inked on your body. Some people might say that tattoos do not hurt, but that most probably is a total lie. It will hurt one way or another since you are having a needle (or two, or seven) cut through your skin. However, the level of pain will still depend on your pain tolerance. If your pain tolerance is high, then you can expect to experience less pain. 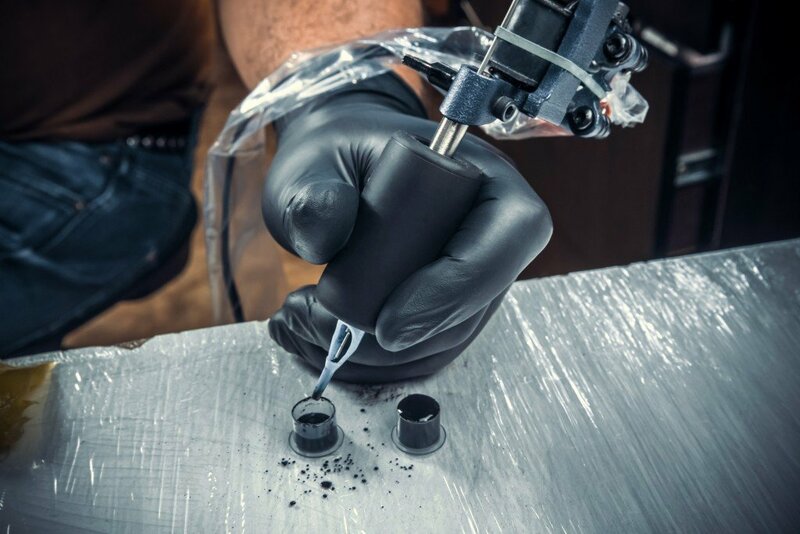 If you know that you cannot tolerate the pain that well, then ask your tattoo artist to put numbing cream on the area that you are getting your tattoo on. Alternatively, you can also take a pain reliever before or after the procedure to lessen the overall pain. 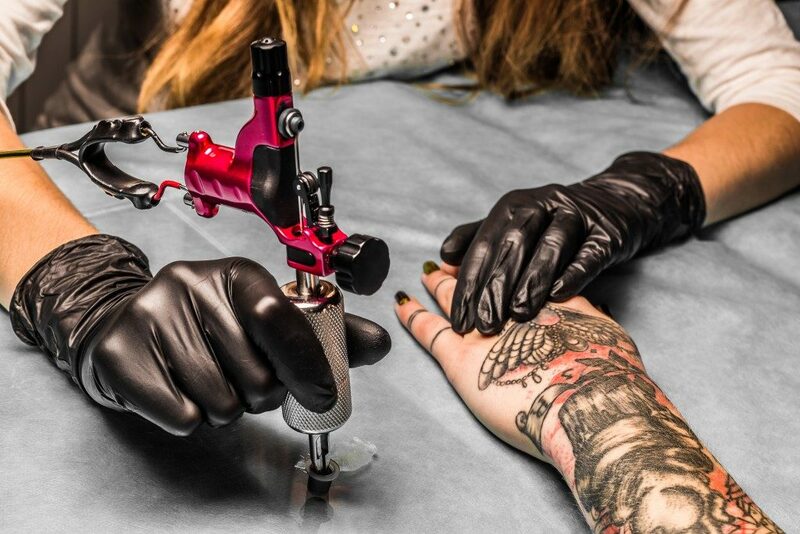 You will most likely be super tired and worn out after getting the tattoo at the tattoo shop, which is why it is important to shop for your aftercare needs before getting the tattoo. Ask your tattoo artist what you need and list all of that down. You will most likely need some cotton balls or pads and tattoo ointment. That’s about it, as you will have to clean your tattoo with just mild soap and lukewarm water. The tattoo ointment will keep you from infections and will help your tattoo heal properly. Alcohol and caffeine can both thin your blood, which is why it is important to steer clear of these stuff hours or even days before getting the tattoo. If you have too much alcohol or caffeine in your blood during the procedure, then chances are you will bleed heavier than usual. Do not believe your friend when they tell you to drink up before getting the tattoo to minimize the pain, as that is a huge lie that you should never believe. Always talk to your tattoo artist and communicate with them when it comes to designing your tattoo. The more they know about your preferences, the better the outcome will be. Enjoy your new tattoo!